Item # 301975 Stash Points: 1,199 (?) This is the number of points you get in The Zumiez Stash for purchasing this item. Stash points are redeemable for exclusive rewards only available to Zumiez Stash members. To redeem your points check out the rewards catalog on thestash.zumiez.com. 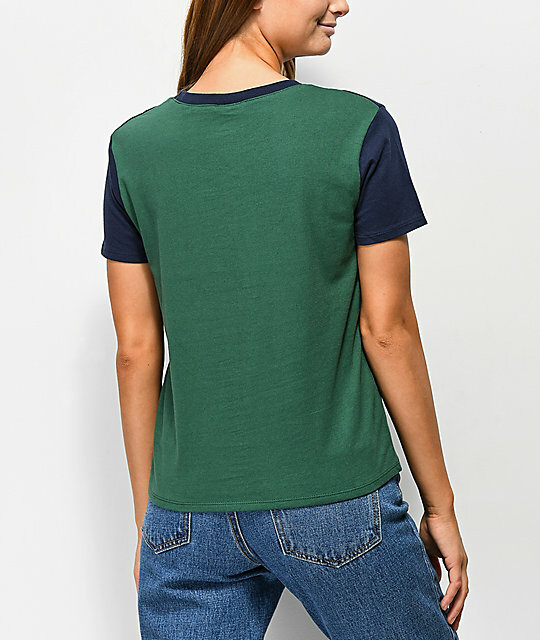 The Rayney Green, Blue & White Colorblock T-Shirt from Zine is the perfect addition to complete your casual looks. 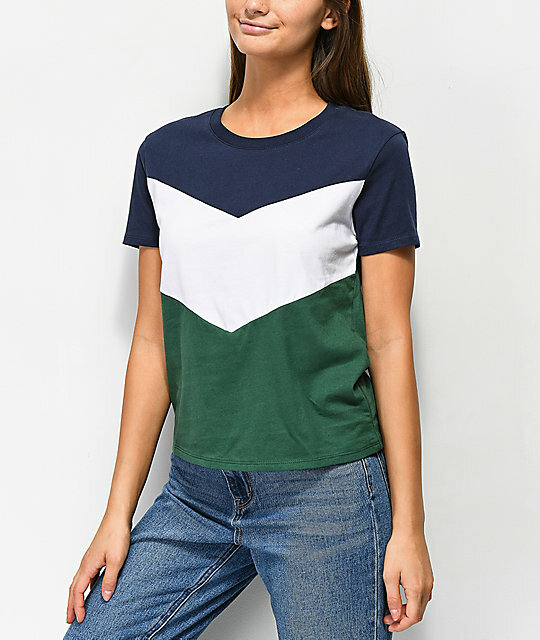 This cotton tee features a navy blue, green and white colorblocked construction that is completed with a slightly cropped silhouette. Rayney Green, Blue & White Colorblock T-Shirt from Zine. Navy, green and white colorblocked construction.